A straddle strategy is a strategy that involves simultaneously taking a long position and a short position on a security. Consider the following example: A trader buys and sells a call optionCall OptionA call option, commonly referred to as a "call," is a form of a derivatives contract that gives the call option buyer the right, but not the obligation, to buy a stock or other financial instrument at a specific price - the strike price of the option - within a specified time frame. and put optionPut OptionA put option is an option contract that gives the buyer the right, but not the obligation, to sell the underlying security at a specified price (also known as strike price) before or at a predetermined expiration date. It is one of the two main types of options, the other type being a call option. at the same time for the same underlying asset at a certain point of time. Both options have the exact same expiry date and strike price. 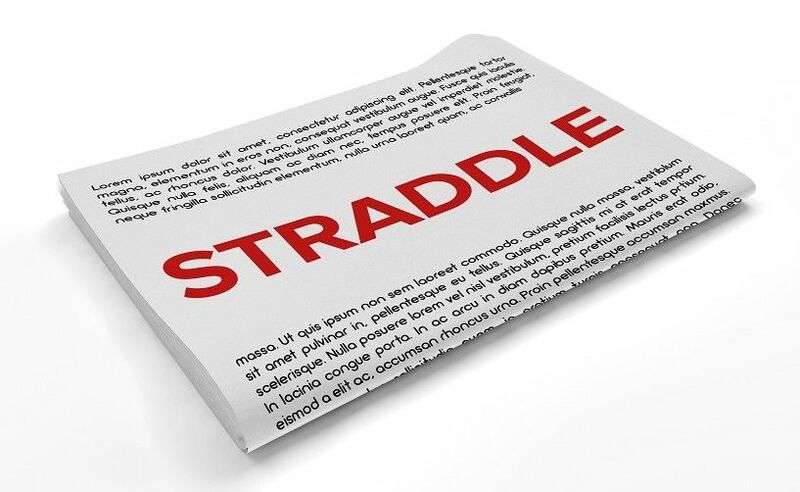 The straddle strategy is usually used by a trader when they are not sure which way the price will move. The trades in different directions can compensate for each other’s losses. In a straddle trade, the trader can either long (buy) both options (call and put) or short (sell) both options. The result of such a strategy depends on the eventual price movement of the associated stock. The level of price movement, and not the direction of the price, affects the result of a straddle. When to Use the Straddle Options Strategy? This is when there is a dynamic market and high price fluctuations, which results in a lot of uncertainty for the trader. When the price of the stock can go up or down, the straddle strategy is used. It is also known as implied volatility. When there is an event in the economy such as an earnings announcementEarnings GuidanceAn earnings guidance is the information provided by the management of a publicly traded company regarding its expected future results, including estimates of revenues, expenses, margins, and earnings. or the release of the annual budget, the volatility in the market increases before the announcement is made. The traders usually buy stocks in companies that are about to make earnings. Sometimes, many traders use the straddle strategy too soon, which can increase the ATM call and ATM put options and make them very expensive to buy. Traders need to be assertive and exit the market before such a situation arises. The straddle option is used when there is high volatility in the market and uncertainty in the price movement. It would be optimal to use the straddle when there is an option with a long time to expiry. The trader should also ensure that the option is at the money, meaning that the strike price should be the same as the underlying asset’s price. The trader enjoys an advantage when the values of the call or put are greater than or lesser than when the strategy was first implemented. It can help counterbalance the cost of trading the asset, and any money left behind is considered a profit. Suppose Apple’s stock is trading at $60, and the trader decides to start a long straddle by buying the call option and the put option at the strike price of $120. The call costs $25 while the put costs $21. The total cost to the trader is $46 (25 + 21). If the trader strategy fails, his maximum loss will be $46. At the expiry date, the Apple stock trades at $210, therefore the put option expires immediately as it is out of the money, but the call option is in the money (the strike price is below the trading price), and when the option expires, the revenue earned on the option will be $90 (210 – 120). The initial cost to the trader of $46 is further subtracted from this leaving the trader with a profit of $44 (90 – 46). The net loss is –$11. In a long straddle, the trader buys both the call and put options. The expiry date and strike price for the options must be the same. It is recommended to buy the option when the stock is undervalued or discounted, regardless of how the stock moves. It is considered a low risk trade for investors because, as shown in the example, the cost of purchasing the call and put options is the maximum amount of loss the trader will face. A short straddle is the opposite of a long straddle and happens when the trader sells both call and put options with the same strike price and date of expiry. It is best to sell the call and put options when the stock is overvalued, regardless of how the stock moves. It is risky for the investor as they could lose the total value of the stock for both the options and the profit earned is limited to the premium on both options.